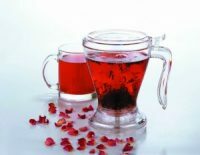 It’s tea as easy as 1-2-3! 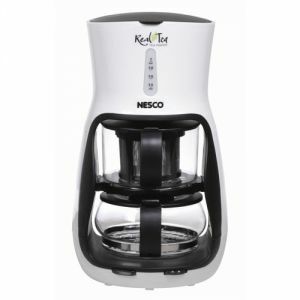 The Nesco® Real-Tea Tea Maker is a must-have for any tea lover. 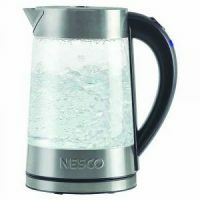 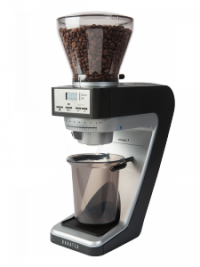 Making the perfect cup of tea requires a great tea maker. 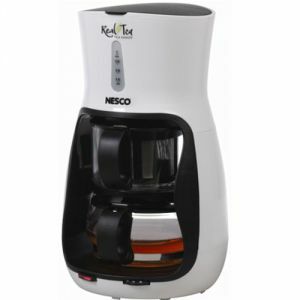 This tea maker, with the ability to brew loose or bagged tea, in addition to its variable steeping times, opens a whole new world of possibili-teas. 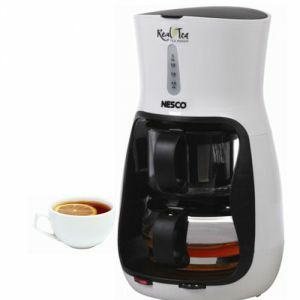 This Real-Tea Tea Maker offers you everything you need for a perfect cup of tea. 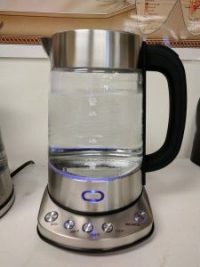 Water filters through the one liter heating chamber at perfect tea temperature (not too hot for delicate white or green teas), steeps for the time selected and automatically flows into the glass pot below.